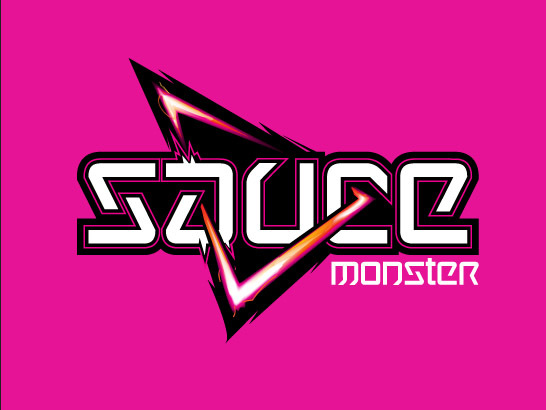 SauceMonster is the moniker for a mad genius synestesiologist who brings his highly innovative 3D video mapping experience to concert halls around the world. His visuals are more than a backdrop for people like the futuristic vaudeville act Beats Antique, they are an essential part of the experience that keeps the fans coming back for more. I developed a modern logo mark that reflects his innovative techniques and the futuristic world he creates. I wanted a Stanley Kubrick vibe but not so serious. The logo is intended to be animated and the sections can break apart to create different moving shapes. Oh and he loves pink… bright pink.